For luxury living in Edmond, OK, be sure to check out our spacious layouts at Villas at Stonebridge. With one, two, and three bedroom apartments for rent near Oklahoma City, residents have convenience and comfort at their fingertips. Plush carpeting, ceramic tiles, and vaulted ceilings in select homes set the stage for your new home while our pet-friendly policy welcomes all members of your beloved family. Each of our apartments feature walk-in closets, a spacious patio or balcony, and washer and dryer connections for convenience. Choose an apartment with a fireplace for extra flair and additional storage to keep your space organized. Not only will you enjoy spacious layouts at Villas at Stonebridge, but each of our apartments come equipped with all the modern amenities you need for a comfortable life in Edmond, OK. Plush carpeting and ceramic tiles ensure you always have something comfortable underfoot, while 9-foot ceilings in select apartments offer plenty of room overhead. 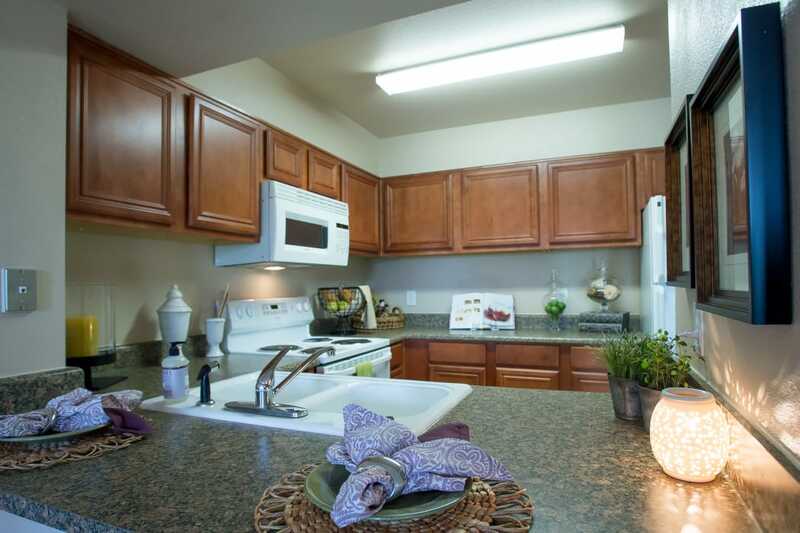 Our apartments come ready for living with fully equipped kitchens and washer and dryer connections. 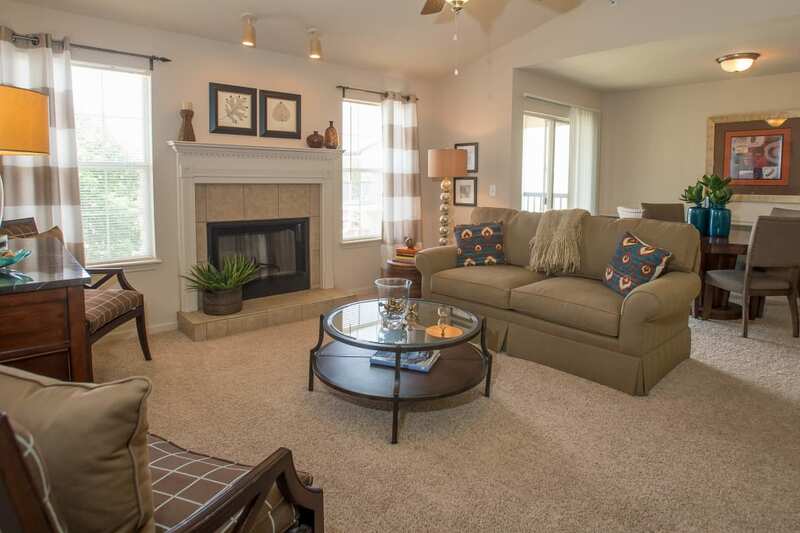 Enjoy sunny days on the spacious patio or balcony and get cozy beside the fireplace in select homes. Our pet-friendly apartments all feature generous closets for easy organization, with garages and additional storage available for your belongings. Discover all our pet-friendly community has to offer. Contact our professional staff today to schedule a personalized tour.